Deserts captivate and compel, entice and enthrall. This unique itinerary unveils infinite perspectives, from big cat covered pans to endless dunes, thriving oases to beached seals, marching herds to serene solitude. Landscapes shimmer with drama and beauty as this two-week journey offers the ultimate Namibia and Botswana desert safari. 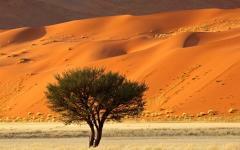 Namibia and Botswana are dominated by desert glimmering beneath the sun in an untamed part of Africa. Each is different. Immense sand dunes rise along Namibia's coast, achingly beautiful landscapes that flicker through a kaleidoscope of color. There's unrivaled desert adventure here, everything from sand boarding to seals, micro flights to majestic sunsets on your verandah. 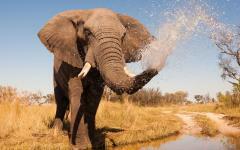 Botswana's deserts are flat and arid, dust swirling between abundant big cats and nomadic elephant herds. 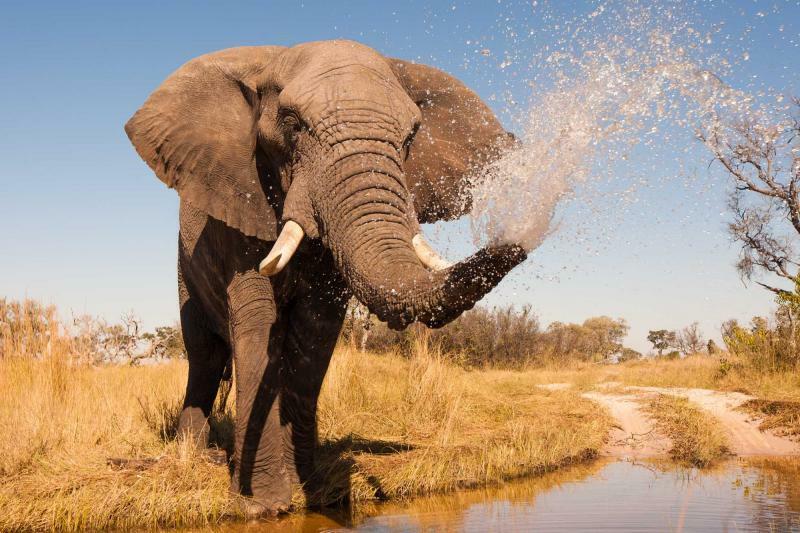 They teem with one of nature's greatest wildlife shows, the Central Kalahari and Okavango Delta both in the top echelons of African safari experiences. The competition for water packs every game drive with dramatic scenes, and the delta unveils an inimitable animal party, millions of individuals feasting on liquid goodness. This handcrafted itinerary enables you to fully experience every desert angle and perspective. Each destination brings something new, confounding the stereotype that deserts are desolate places. Head straight into action for your Namibia safaris, with leopards among the highlights of two serene safari days at Okonjima Reserve. Your luxury suite overlooks a popular waterhole, so as your resting from the flight, a whole cast of indelible mammals are coming to say hello. Then travel west, hitting the windswept Atlantic coast and the world's highest sand dune. Spend a day kayaking with Cape fur seals and soaking up Swakopmund, before a micro flight takes you over the shimmering ridges and dunes of the Namib-Naukluft desert. That flight drops you in Sossusvlei, dramatically reducing the travel time and offering the premier vista over the burning red dunes. Engulf yourself in this colorful wonderland for two days, the dunes surrounding the lodge and reflecting the sun's rise and descent. Another micro flight affords a second phantasmal aerial, before you transfer to a scheduled flight to Botswana, and a very different desert. Six days of action packed safari immerse you in the beauty and theater of desert life, two of Africa's most epic reserves captivating you from start to finish. The vast Kalahari is dry and dusty, seemingly empty at first glance. People don't live here. 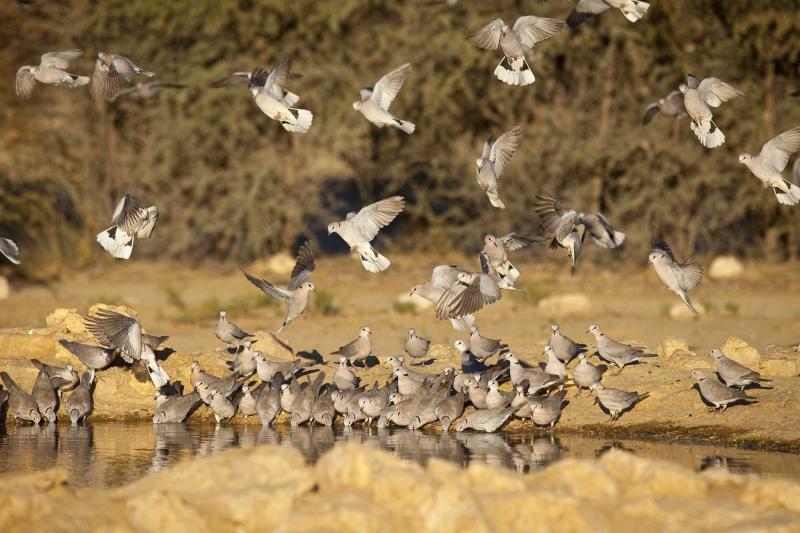 But a spectacular assortment of desert dwellers dances for your camera, congregating around waterholes and fighting for survival. 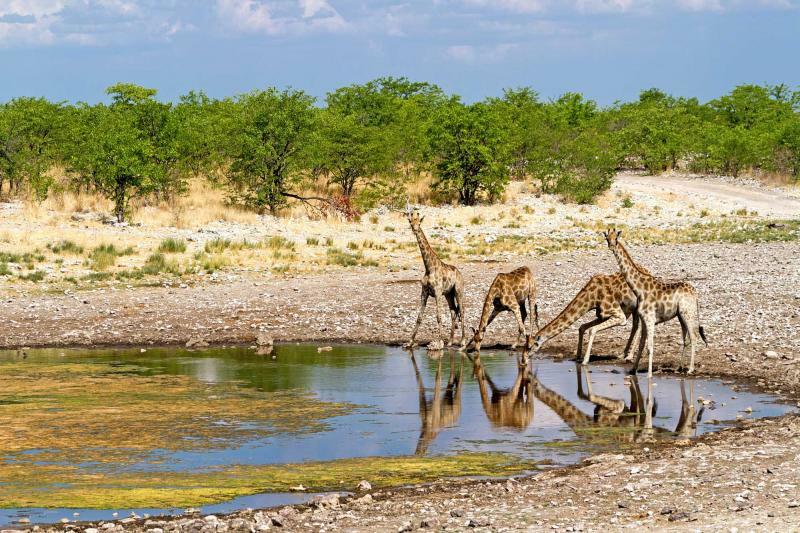 Black-maned lions, majestic elephant herds, elegant cheetahs, giraffe towers; the Central Kalahari Game Reserve brims with highlights, although it’s often the raw interplay between different species that lingers longest in the memory. 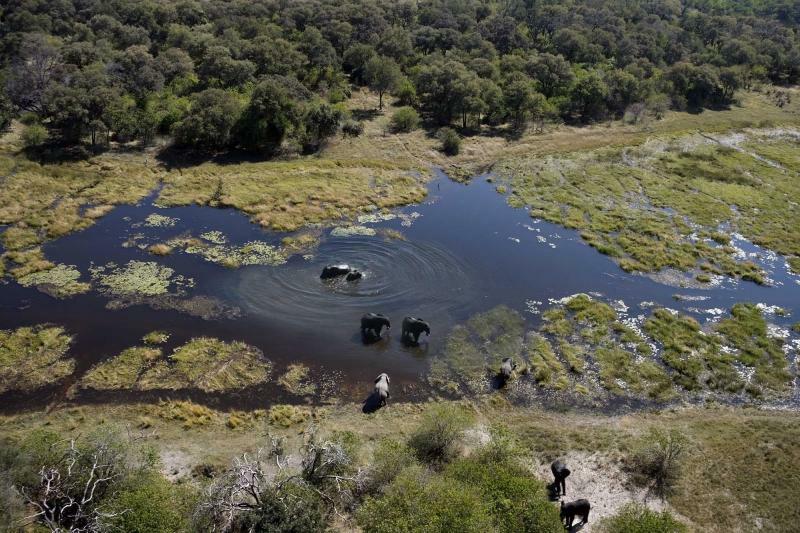 The mammals are all searching for water and it arrives at Okavango Delta, the world's greatest oasis offering a playground for big cats, hippo pods, splashing ungulates, and much more. 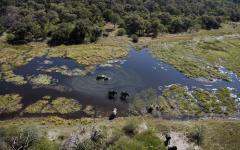 After 10 days in environments where fluid is scarce, the Okavango reveals what's possible when water flows in the desert. 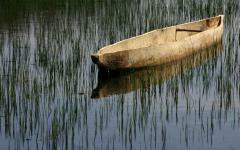 As with all Zicasso itineraries, each destination and activity is fully customizable. Popular options to add to this desert experience are Cape Town or Victoria Falls. 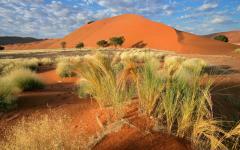 This desert experience can also only focus on Namibia, switching the Botswana destinations with Etosha National Park. 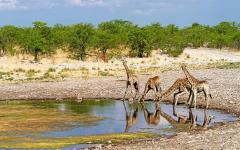 See the reviews for Namibia safaris for additional ideas and traveler reviews. Namibia isn't fond of easing you into its landscape and experience. Within two hours of landing in Windhoek you'll be in the midst of leopard territory, the Okonjima Reserve providing an emblematic opening two days. Don't worry, there are still lots of opportunities to relax and recuperate from the long flight...just in the Namibian way. Sit back on your private verandah and gaze out on the waterhole, the unique mammals of Okonjima offering a cute welcome to this untamed country. And what could be more authentic than a lullaby performed by the sporadic calls of Africa's finest? Okanjima is tree covered and green, a compact oasis in the heart of Namibia. Out on a game drive you check the trees. No, nothing. How about these trees? Still nothing. But a tiny movement brings back your attention. Keep looking, scouring the branches, until the camouflage of the leopard is betrayed. How did you miss it?! It's so obvious, tranquilly resting on a branch, solemn eyes firmly focused on you. Okonjima is famed for intimate encounters with this elusive predator, as well as the hyena and cheetah that hunt on the plains. 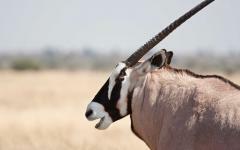 A morning game drive unveils a collection of ungulates, Okonjima unequivocally ensuring that you've been transported to a very different world. Zebra, kudu, springbok, giraffe; the sights keep coming and the camera shutter keeps flickering. Spend the afternoon outside the safari truck, walking (yes, walking) through the reserve and elevating the wildlife intimacy levels. 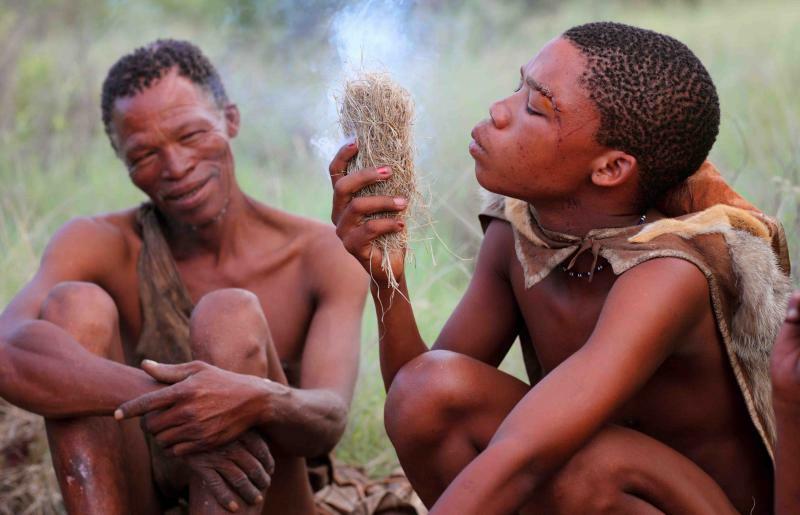 Bushmen guides keep you safe and Okonjima's four legged beauties will come much closer when you're on ground level. A second serene night offers the quintessential African relaxation, an assorted cast of mammals coming to drink in front of your verandah. Namibia's scale is difficult to comprehend although today's drive helps offer a glimpse at the country's enormity. It's around five to six hours to Swakopmund, the journey passing quaint farmhouses, snaking mountains and, well, that's about it. An epic barrier of sand dunes has always prevented development here, extending down the Atlantic Ocean coastline and twinkling beneath a relentless sun. This is the ultimate desert safari so let's raise the stakes by experiencing the world's highest sand dune. Rising 383 meters and growing year after year, Dune 7 towers over the landscape, belittling the other 200 meter plus dunes that also burn orange and red in the late afternoon. From a distance it's enormous. But to really appreciate the size you must take a few steps along the ridge. Try out sand boarding and glide down the sand, then roam along the ridges for some surreal panoramas of sand dunes merging with blue ocean. Swakopmund's colonial charm blends with palm trees and adventure. The downtime comes from soaking up the cozy atmosphere and discovering the charming cafes and restaurants along the beachfront. 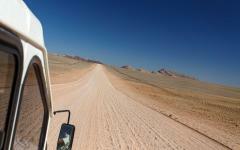 Yet provocative desert experiences keep coming, a short journey takes you to shipwrecks marooned in the dunes. Masts point out of the sand, morning mist adds to the mystique, and a once great vessel stands battered by nature. Bump along this Skeleton Coast, admiring the interplay between ocean rollers and towering dunes, photographing the strange shipwrecks, and then following the squawks of more inimitable wildlife. A huge colony of Cape fur seals cover the beach, many thousands of them flopping about the sand with their antics. Males jostle for the females, great hulks of flesh crashing together just meters away. You're easily close enough to touch them, although that's not recommended. On land they're cumbersome and comical, but they're elegant and graceful in the water. Glide along the shore in a kayak, admiring the seals as they dive beneath your vessel and playfully return with fish. Then return to Swakopmund for a lazy afternoon and evening, the town's souvenir shops the best you'll encounter on this trip. 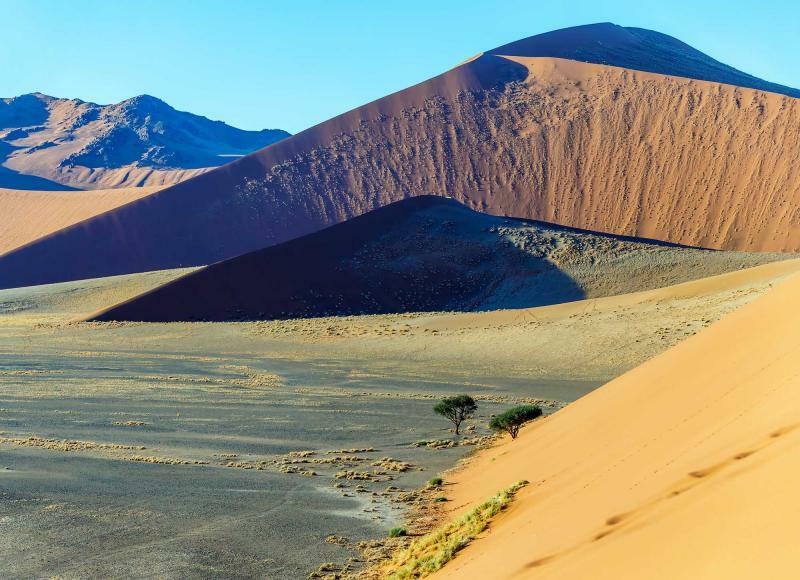 The dunes of the Namib-Naukluft National Park are Namibia's spine, an exposed continuation of ridges that run from south to north. Glimmering peaks and shadowed troughs roll, thousands upon thousands of square miles of nothing but desert. From the ground you can only grasp and grapple at the scale. So board a light aircraft and cruise above them, running your finger along the ripples and marveling at the kaleidoscopic color changes delivered by sunrise. The pilot swoops lower, delivering close-ups of meandering ridges as you descend towards Sossusvlei. By connecting destinations with light aircraft, you not only receive enviable impressions of the desert, you save many hours of travel time. 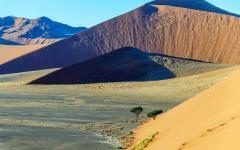 Sossusvlei is Namibia's most photographed natural attraction, an achingly vibrant orbit of dunes and desolate valleys. Feelings of insignificance are ubiquitous, each human footstep bringing more sand and more dunes. Not that it's monotonous. The desert is always changing, always providing new angles. Wind sweeps in and blows away the footprints, ridges climb higher, and you just need to turn sideways for more curves. In the late afternoon you make the short drive to two iconic attractions, each wonderfully hypnotic in the fading light. Dead trees stand lonely in Deadvlei, scarred remains dotted across the clay pan, brutal reminders of desert power. 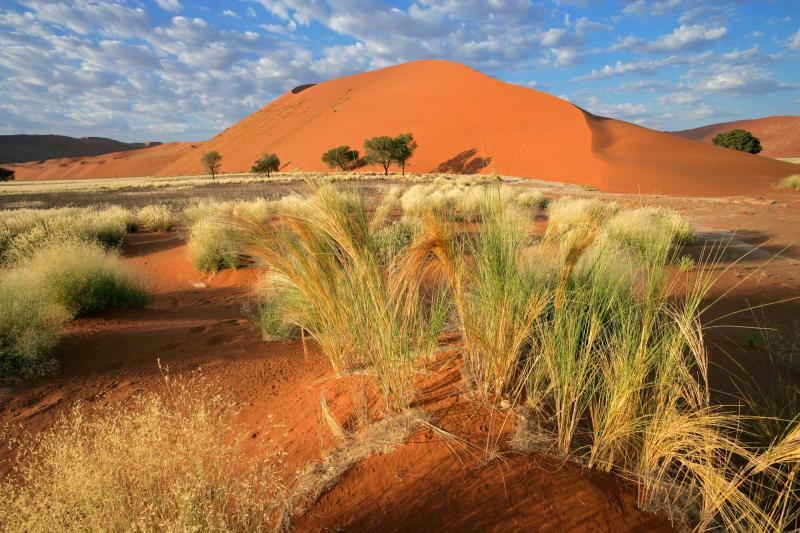 Sossusvlei is equally captivating, a desolate pan that's covered in reminders of desert life. Shrubs rise, trees bring green to the landscape, and this is where water is funneled during the very rare rains. And all this is just day five. In the early morning there are reverberations of color. 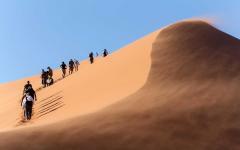 Rise early and climb Dune 45, the triangular peak affording endless vistas onto one of Africa's most iconic sunrises. You will have seen sunrises and sunsets many times before. But little can prepare you for one in Africa. The sun burns redder and longer, and it seems much bigger than at home. Dune by dune the desert comes alive, fleeting mist quickly evaporating from the sand, each collection of sand welcoming the sun. 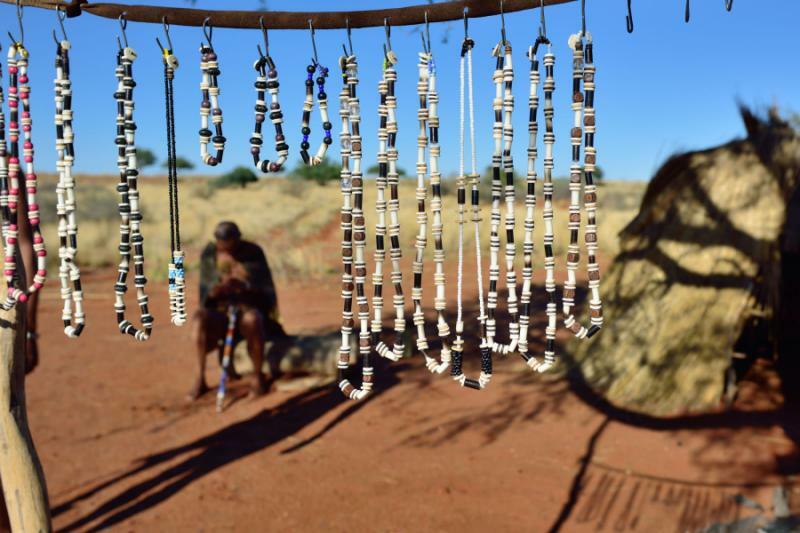 Return to the lodge for a leisurely few hours then choose an afternoon activity; returning to Sossusvlei, walking with Bushmen, or picking the perfect sunset spot. Namibia's deserts have one last hurrah, the macro scale revealed from the air for a second time. Indulge in its vibrant glory, take a hundred photos from the Cessna window, and swoop towards the capital city of Windhoek. 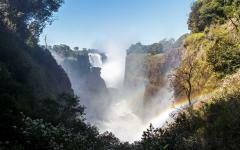 Again, not only is the flight one of Southern Africa's most memorable experiences, it saves six hours of driving time. Switch to a scheduled Air Namibia flight and cross into neighboring Botswana, cruising above the desert that's going to be your playground for the next six days. 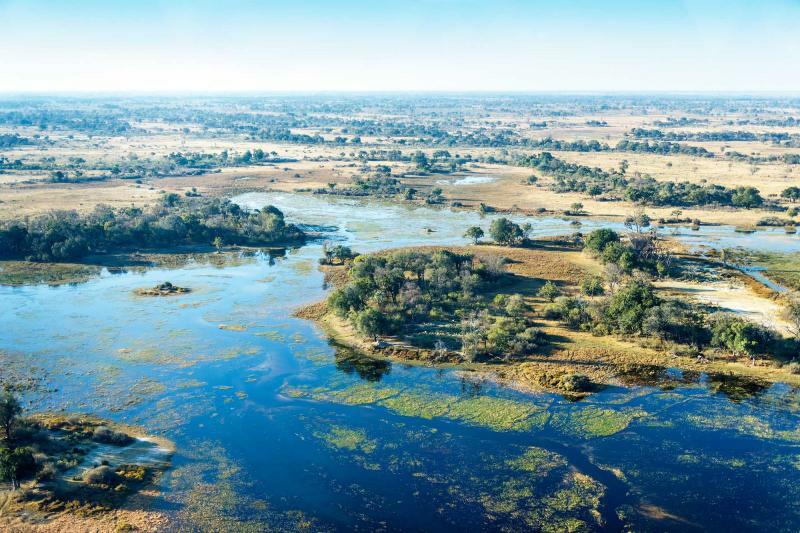 Botswana safaris present two very different desert experiences and light aircraft connect the destinations, catapulting you from wilderness to wilderness. 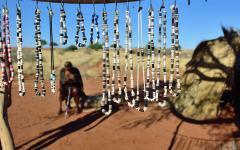 Out in the Central Kalahari everything seems quiet. A chimney of dust swirls past a lonely giraffe; scorched rocky landscapes extend from your luxury camp, but then a distant howl suggests that this desert is far from lonely. Experience game drives into over 50,000 square kilometers of untouched big cat country, circling the permanent water holes for easy wildlife viewing. 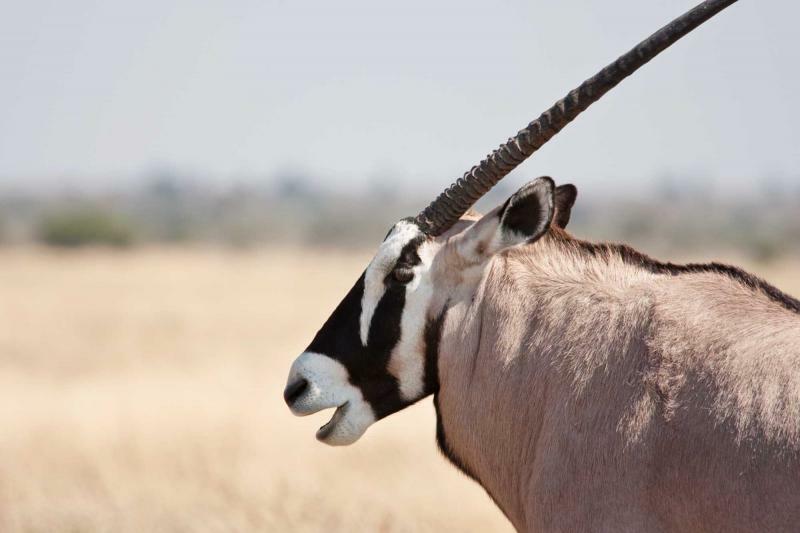 If you know where to look, the Central Kalahari Game Reserve is one of nature's greatest shows. It was wild dogs that were howling, a battle cry sounded from near the camp. They're on the trail of springbok, a small herd slightly panicked but staying clear of their advance. Sometimes you look around and there's nothing. Just desert. But then a small elephant herd meanders along the horizon. As they come closer a kudu herd approaches from behind. Stay still. Keep looking. Shapes move beneath a scorched tree, their detail obscured by shade. The guide drives closer and the black manes become apparent, a large pride of Kalahari lions lazing through the afternoon sun. Even as they sleep there's one eye open. They know that you're just five meters away. 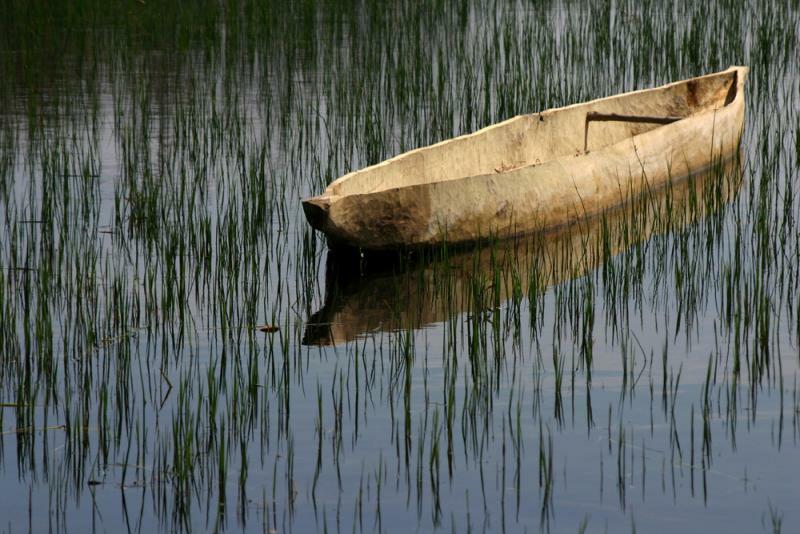 Your adventure here is fully customizable and all safari activities are included. 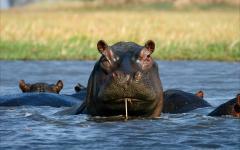 One option is to take morning and afternoon game drives to popular spots near the camp. 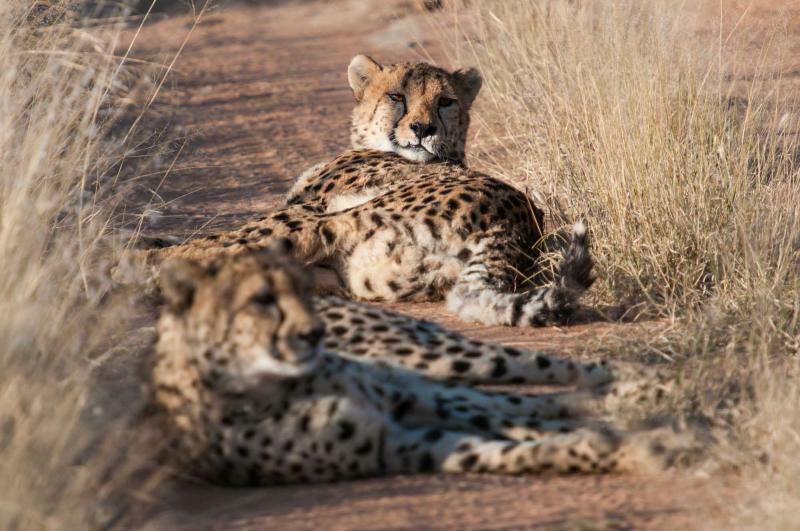 Alternatively, head out to the far reaches of the reserve on a full day drive, stopping for a picnic lunch besides a cheetah's rocky outcrop. Walking safaris can also be incorporated, skilled Bushmen safely guiding you into the land of lions. And the safari never stops when you return to camp, the sounds of roaring cats keeping you company, and the sight of four legged nomads greeting every morning pull of the curtains. 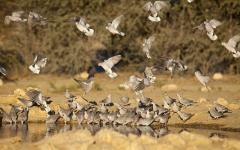 Water has been fleeting on this desert adventure, brief pools fought over by quarreling wildlife. You've seen how rugged and challenging the desert can be. 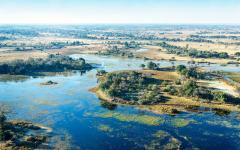 So the luxuriant blue of Okavango Delta comes as a huge surprise. In the heart of the Kalahari, glistening beneath the sun, the world's greatest oasis provides an insatiable feast for millions of mammals. Nomads migrate from their brittle plains, ungulates gorge on the fertile pastures, and big cats assemble for an easy meal. The light aircraft touches down in Moremi Game Reserve, on an island within the delta. Zebras splash through the shallow channels and gallop to fresh grass, elephant footprints surround your luxury camp, and the night's soundtrack contains a hundred wild voices. 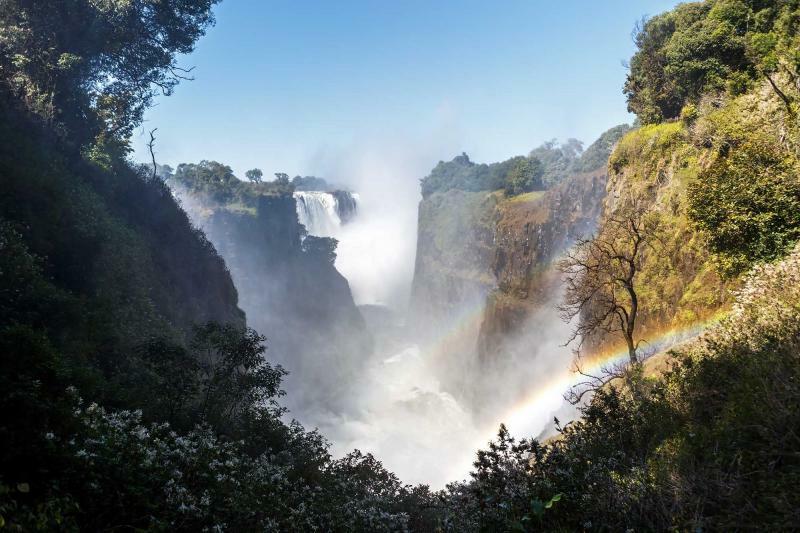 This natural sanctuary can be explored by vehicle, a safari truck threading into the forests and stopping beside giant elephant herds. Giraffes tower above the green canopy, and it's time to recall your lesson in deciphering leopard camouflage. Rain doesn't fall here. It fell in Angola some months ago, snaking a descent into Botswana and delivering this feast. 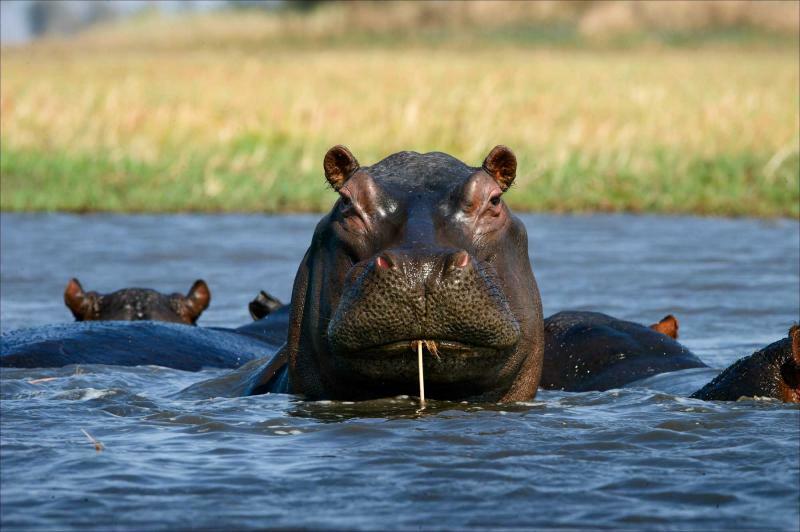 A small wooden canoe takes you down the slithery channels, a skilled gondolier picking a path between giant hippo pods; dozens of snouts rise above the water and follow your journey. Elephants are also in the water; youngsters half drown each other beneath a mother's watchful eye, and older males shoot water jets from their curled trunks. As you cruise the delta shores the thirsty residents come out to play, each set of four hooves trying to remain aware of nearby predators. Liquid bounty brings a meat feast for the cats, the Okavango swarming with predators. 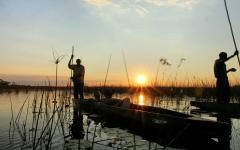 Spotting a hunt is a real possibility, no, a real probability when you spend three days in the delta. Maybe it will be the cheetahs crouching beneath the grass, or perhaps the lionesses bullying others down at the river. Just like the Central Kalahari, you can tailor create an itinerary of game drives, mokoro boat safaris, and walks onto the plains. Each offers a distinct experience, as does the variety of habitats that have emerged in the vicinity. 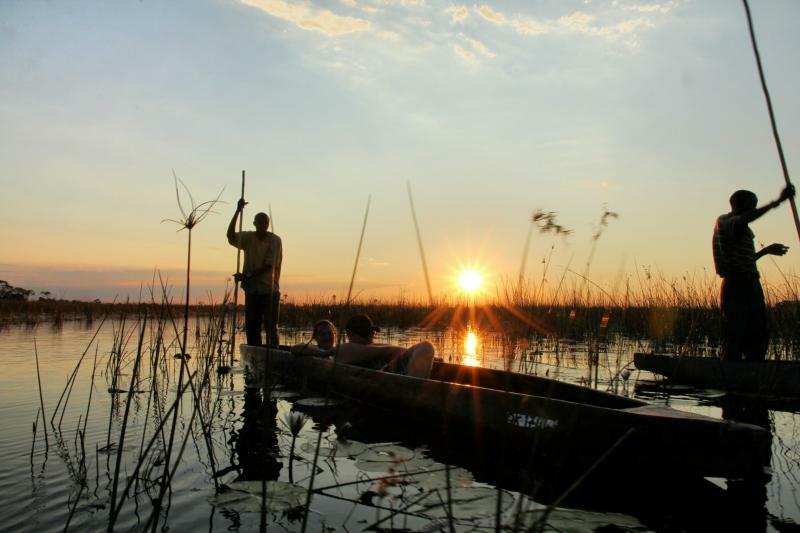 Water dwellers, forest lovers, grazers, browsers; the Okavango offers an array of wildlife that can't be witnessed in any other desert on the planet. It's a fond farewell to your ultimate desert safari today, a final aerial swoop taking you to Maun and a connecting international flight. These 13 days have reveled in their ability to surprise and present new perspectives, so what lingers most in the memory? Watery abundance in the desert, lions on dusty plains, endless sand dunes? Or perhaps the complete immersion in nature's unrelenting power? It's a question that occupies you for far longer than the return flight home.